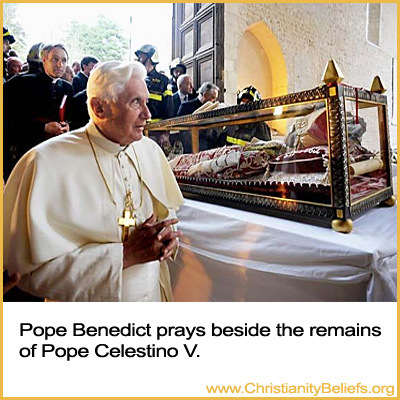 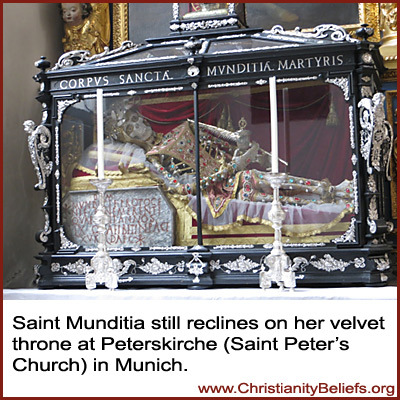 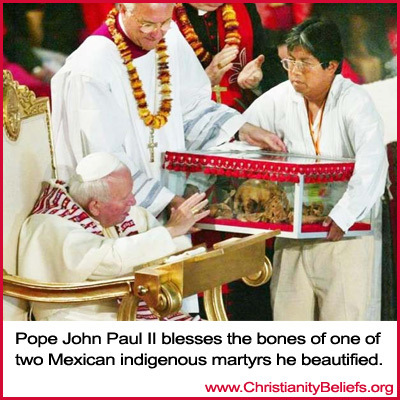 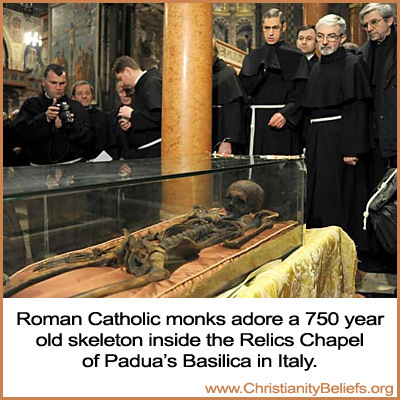 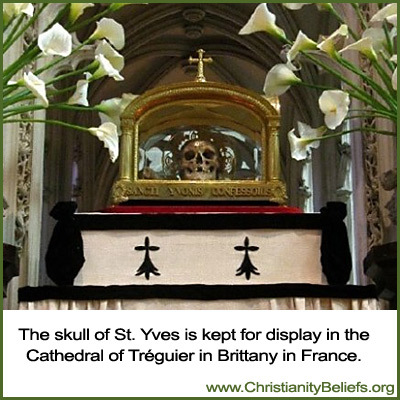 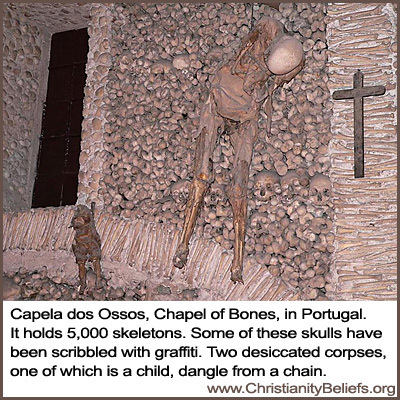 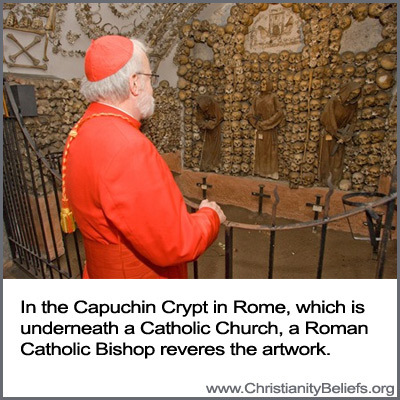 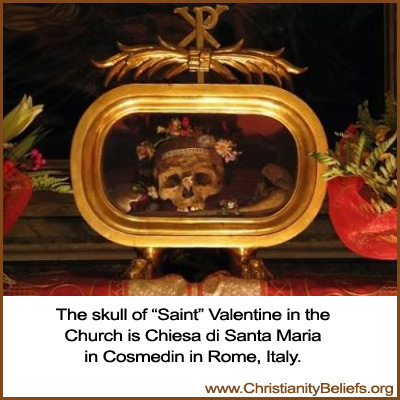 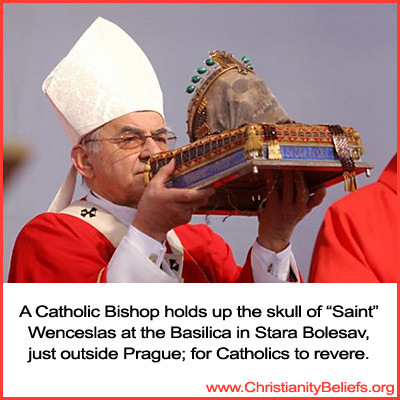 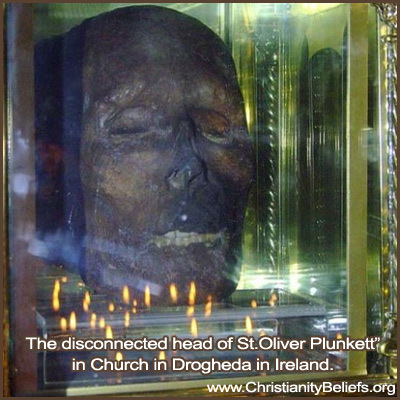 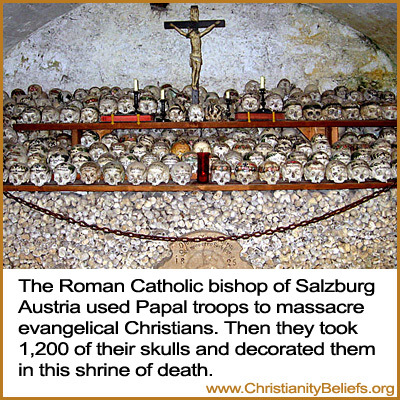 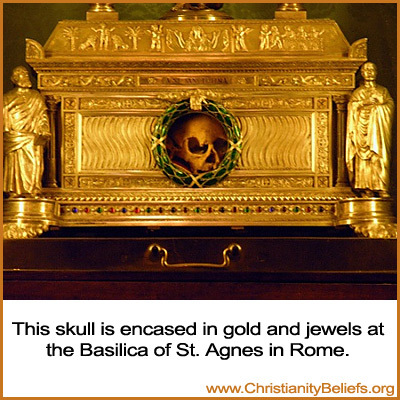 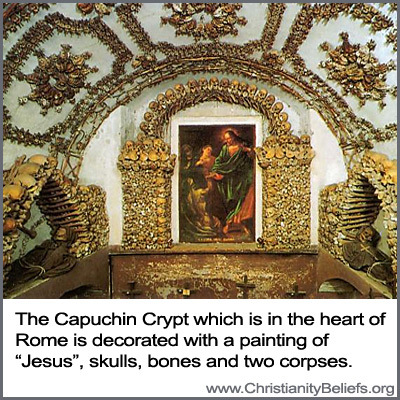 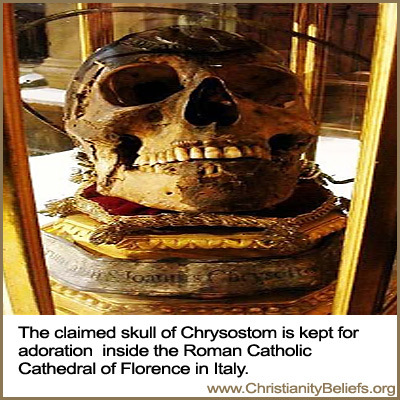 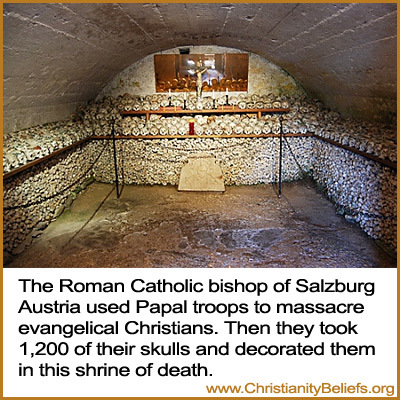 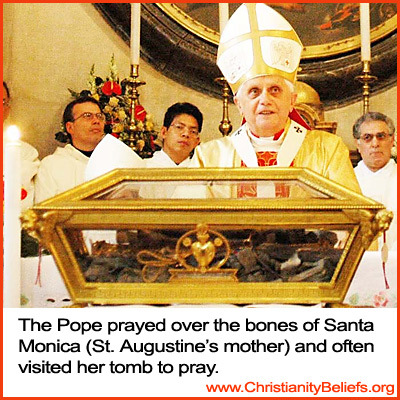 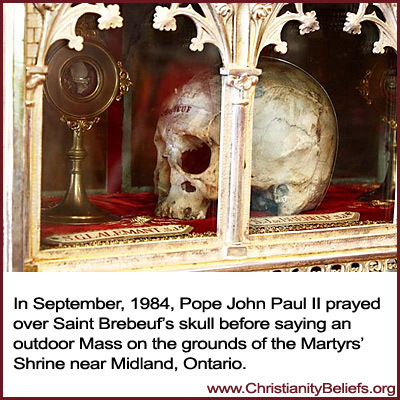 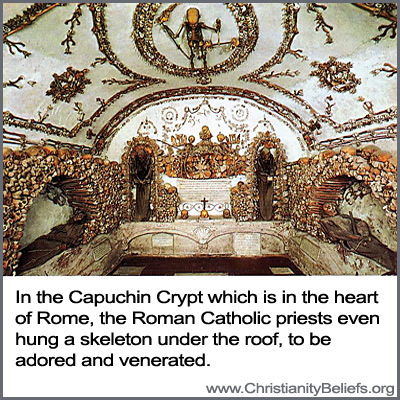 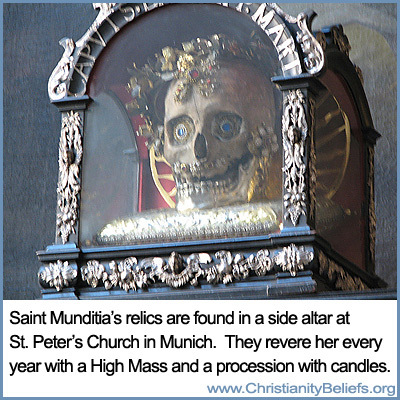 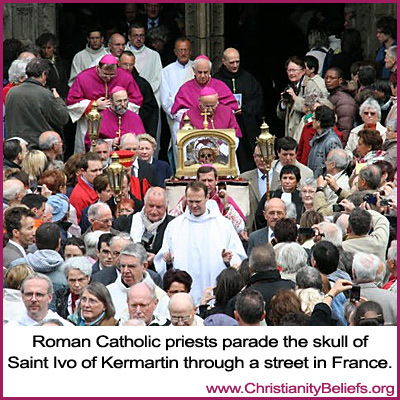 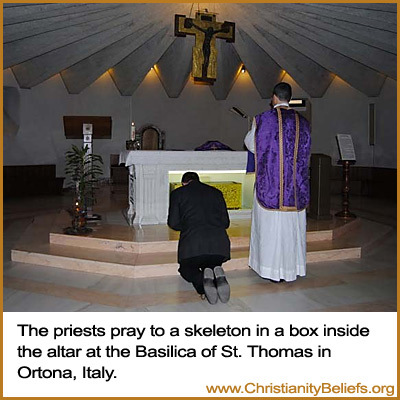 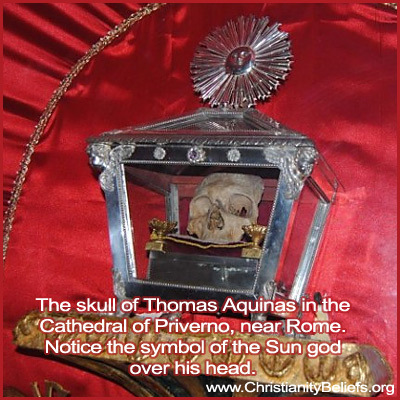 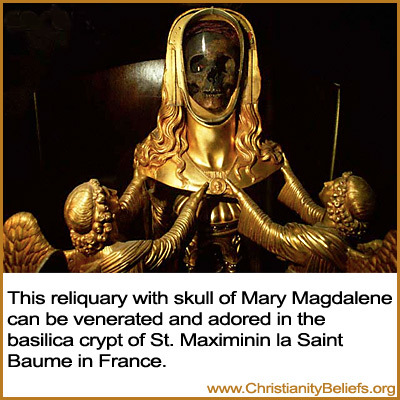 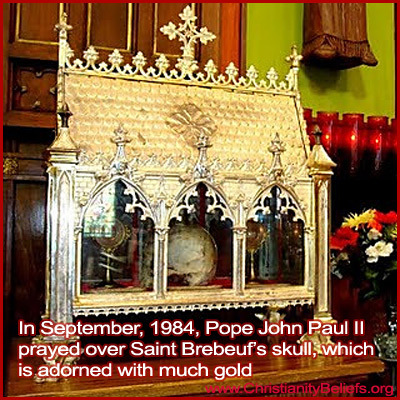 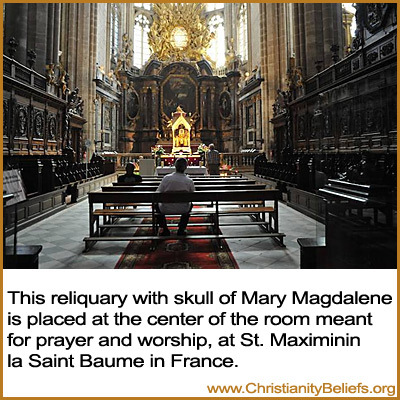 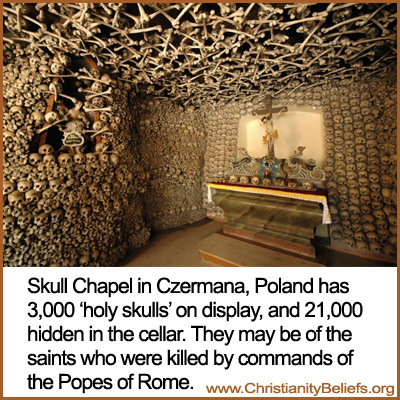 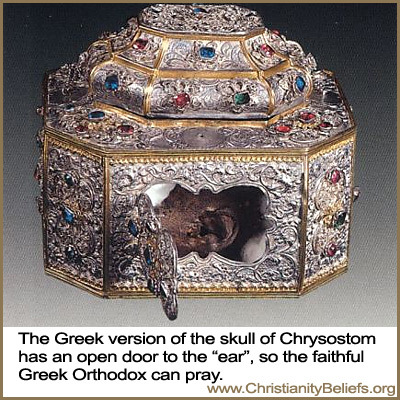 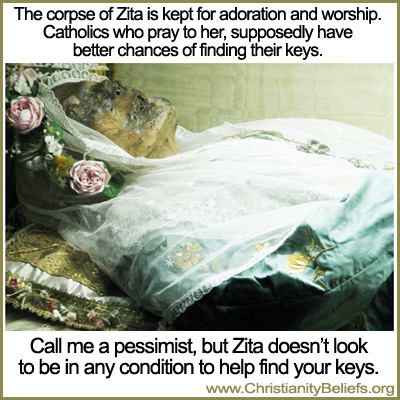 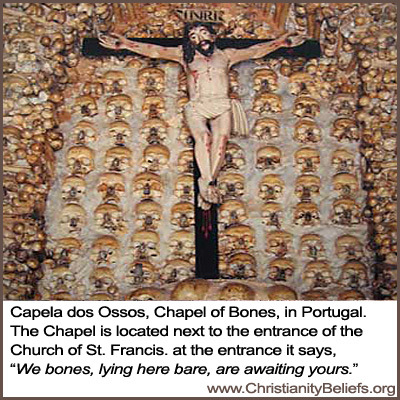 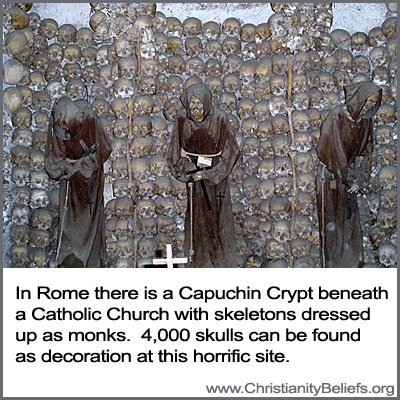 This Roman Catholic Beliefs study features images that show how Popes, priests and Catholics, revere and pray to skulls and bones. 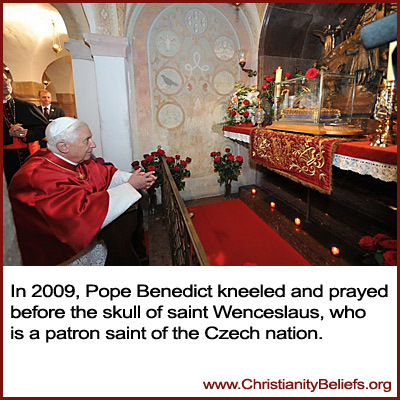 Messiah would never have His people revere them and pray to them. 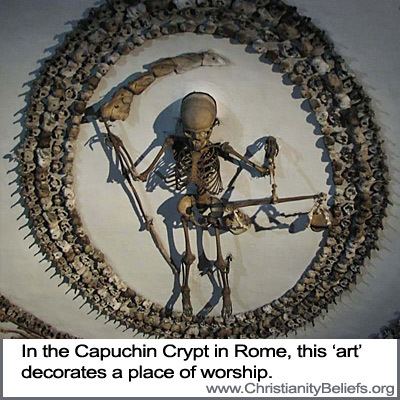 This is sorcery from the evil one. 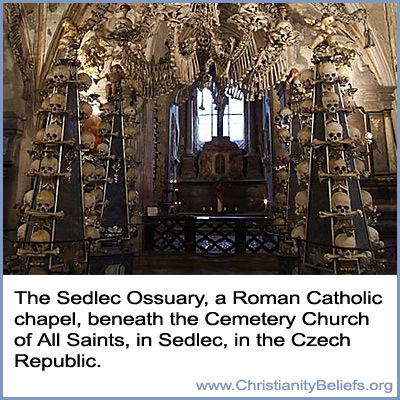 Witches use skulls and bones for their ceremonies. 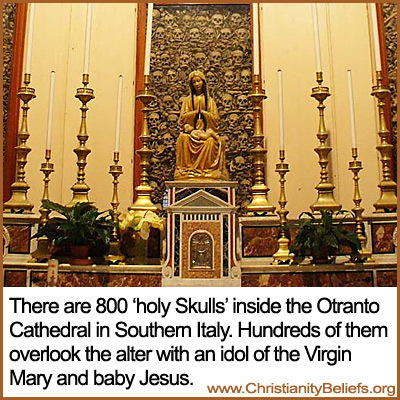 In Revelation 18:4-8 Messiah has commanded you to come out of the Harlot Church of Rome. 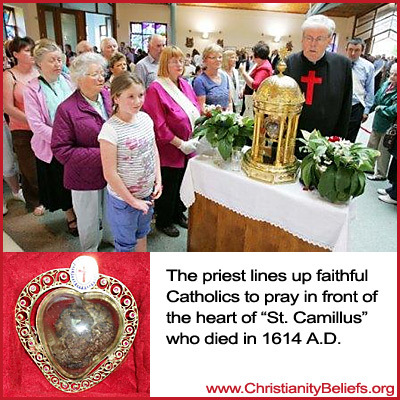 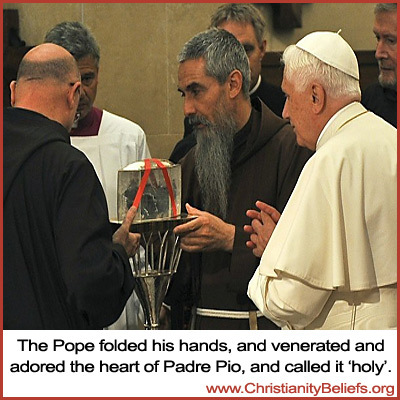 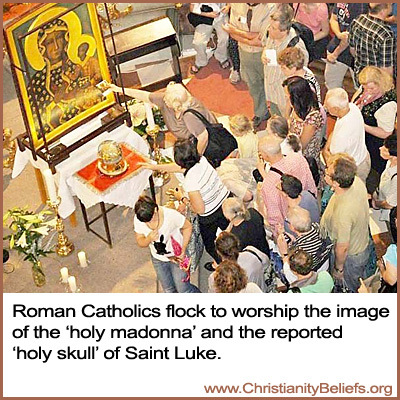 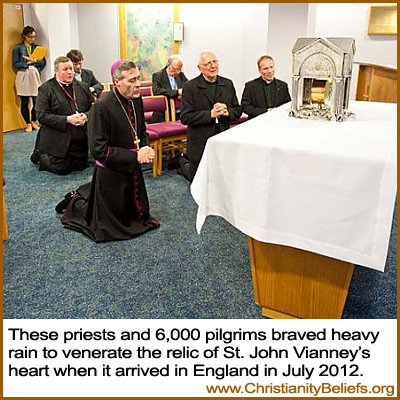 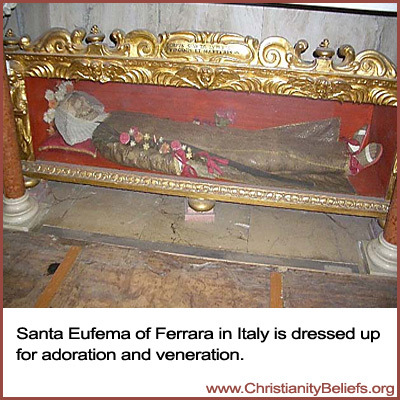 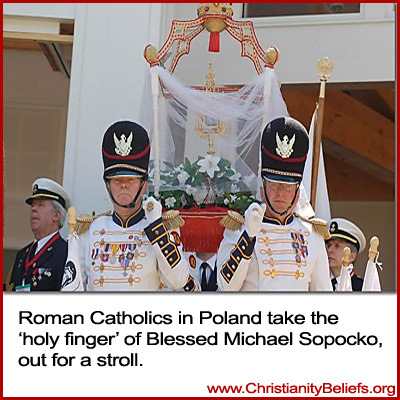 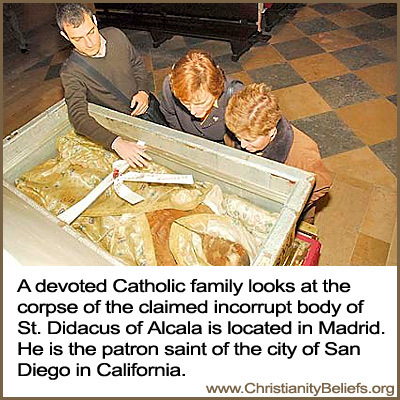 Related Study Who Is The Roman Catholic Church Really Worshiping?